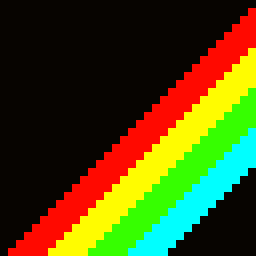 If you'd like to take part in P8JAM2, please select one or more themes by clicking on the PICO-8 star next to it (you need to be logged in). You can change it anytime before the 24h voting phase ends -- at 00:00 PST on Saturday the 21st. Check out the jam thread for more details. Edit: times's up! The winning theme is Chain Reaction. You have 9 days! Good luck! Right now, it's 23:38 PST... The votes have begun earlier than announced. Will the JAM ends at 23:30 May 29th ? Thanks for all. You rock !!! Ah... today I learned the difference between PST and PT. Typing "PST Time now" into google gives PT (i.e. the currently active pacific time which is now PDT). Thanks for the answer. You may have to hide the star and the heart in the bbs topics list for this topic. When used, they erased my vote. 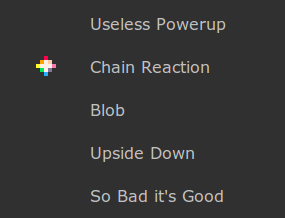 I voted "chain reaction" then got "Useless PowerUp" and "Blob". I have to remove the heart and the star and vote again to get my choice back. Huh. Did it mix your votes up with mine somehow? Wacky! Caching! JTE -- you were getting jihem's cached page. When I came to the page, the first and the last option were already marked... When I pressed them to un-check, they just got checked again, though - so I think it was just a visual thing. Right -- once you press any of the toggle buttons, you'll see what is /actually/ in the database even when the cached version was out of sync. I'll leave caching off during voting because the site seems fine without it for now. So Bad It's Good, let's get some glorious trainwrecks!! What do you think of this game jam system? 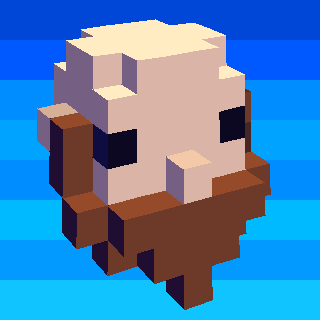 Maybe it could be useful for running the pico game jam and possibly to bring in more new picolaborators? Who came up with those themes? I really wonder why most jams have so boring, featureless themes. This feels like kindergarten. Most of them are not even themes but only buzzwords. You can not make a story out of any of those so I guess I will skip this jam again after "rain" though I was really motivated this time. come on movAX13h! You can do it! Very cool...good spread of themes too. Lets jam! Here we go. I suppose now it's time to think of something for each theme so that a different outcome won't dis-inspire me. @movAX13h the themes aren't here to tell you what game to make. 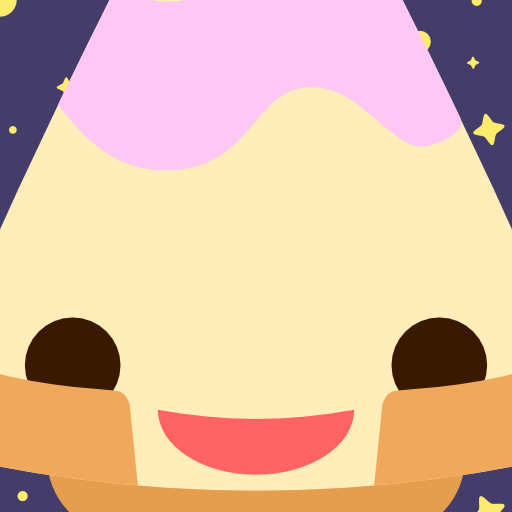 They're just a spark, a nucleation point for your own game ideas to crystallize around. One of the great things about these jams is seeing how different everyone's creations are despite a central theme. It give me more than an idea (even if not for the jam). I hope I can play your cartridges soon. I like to discover new games. movAX13h: They're so broad and generic on purpose. The idea is more that the theme is there to give you something to start with if you can't come up with something out of nowhere. Honestly, even if whatever theme happens is anti-inspiring to you, you should hang out and build an unrelated game in that timeframe anyway, we're all in it for fun anyway! Nooooo... This theme is more likely to give me some serious competition D:! Obviously that's why everyone-but-me picked it. X3 Alright, let's go! Serious competition has arrived! Let's do this! Sadly not my topic - I had ideas for each topic, but not for this one and it didn't get any better. But I see a lot of puzzle games comencing ;). I think I'll use the time to continue with Tower of Rhavenna to get it out of the door finally. Can I use a function made by someone else? And, can I use an existing "game"? I'm saying "game", because it's only circa 5% complete. @adrian09_01 yes -- no problem. I've added a note on this in the main p8jam2 thread . @zep Can I post a WIP and update it like Tetromix? Whoaaa! Crazy running into you here! I talked to you over IRC a bit over a year ago, asking about redirecting the WonderSwan's video output if I recall correctly. Cool to see you again!